Stay comfortable and stable mile after mile in the Danner Mountain 600 . 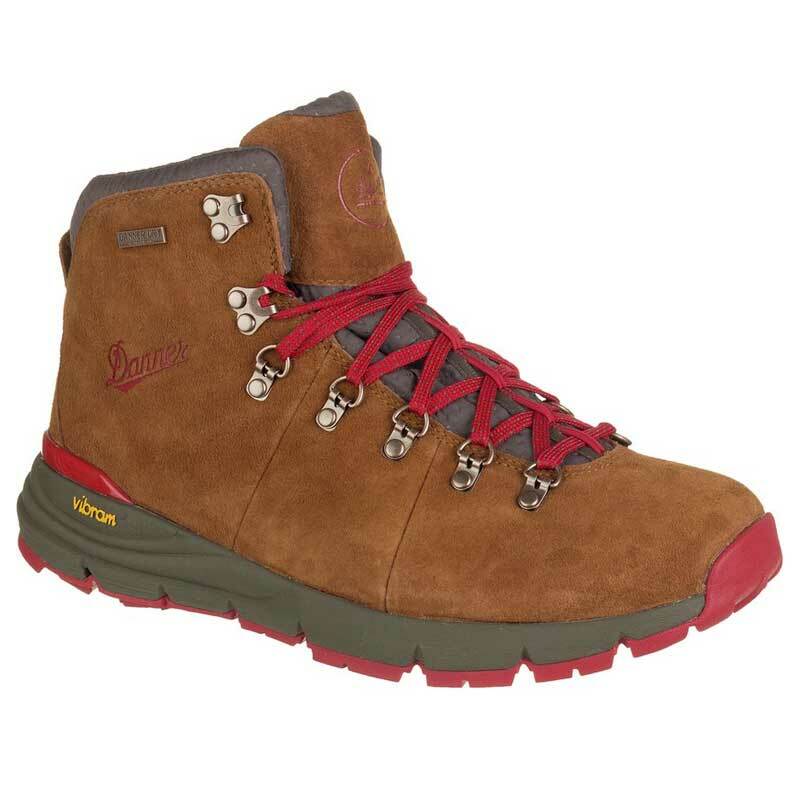 This men's mid-height hiker features a durable, waterproof suede upper and perforated, moisture-wicking collar that's easy on the ankle. The Danner Dry lining keeps moisture managed inside for a healthy interior. The Mountain 600 comes with the Danner OrthoLite® footbed, a very supportive insole that stabilizes the arch and protects high-impact zones. The Mountian 600 also features the all-new Vibram® SPE midsole which enhances rebound, comfort, and support under your foot. It's created with a unique co-polymer blend of natural and synthetic rubber paired with EVA. Finally the Mountain 600 is finished with a Vibram® Fuga outsole that has self-adapting lugs and MegaGrip compound for superior grip on both wet and dry surfaces. Be prepared wherever the trail may take you in the Danner Mountain 600 hikers.